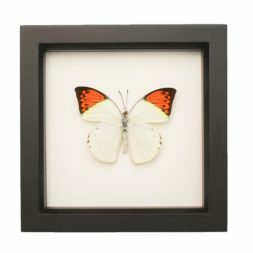 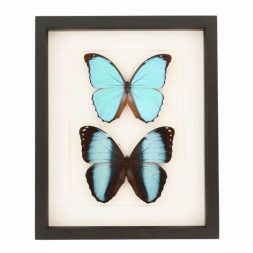 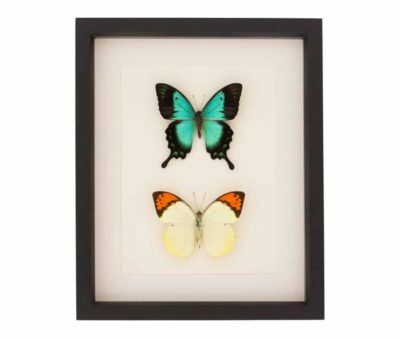 A framed butterfly set of two beautiful butterflies – Sea Green Swallowtail and Orange Tip Butterfly. 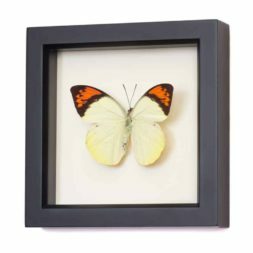 Framed with UV blocking glass. 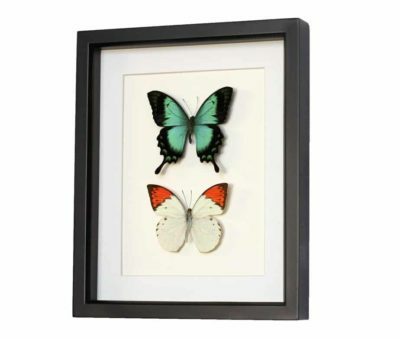 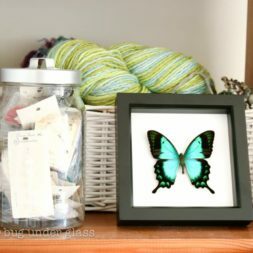 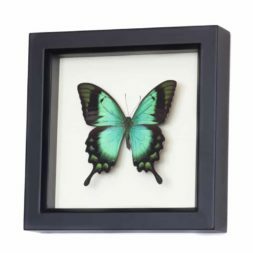 A real framed butterfly set featuring a Sea Green Swallowtail and a Great Orange Tip butterfly. 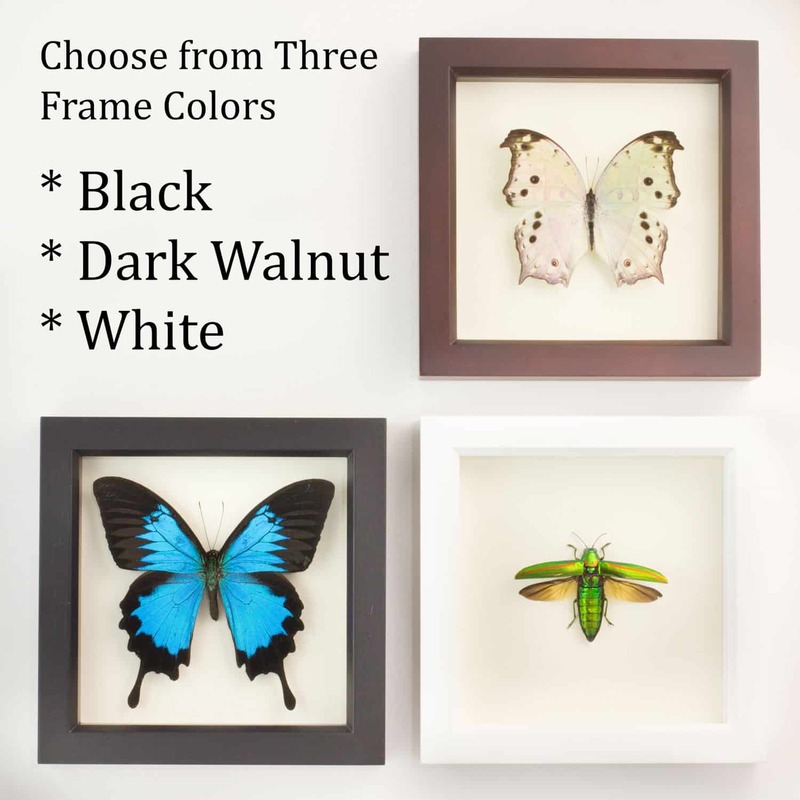 Professionally framed in a gallery shadowbox with TruVue Conservation Glass. Includes natural history information. 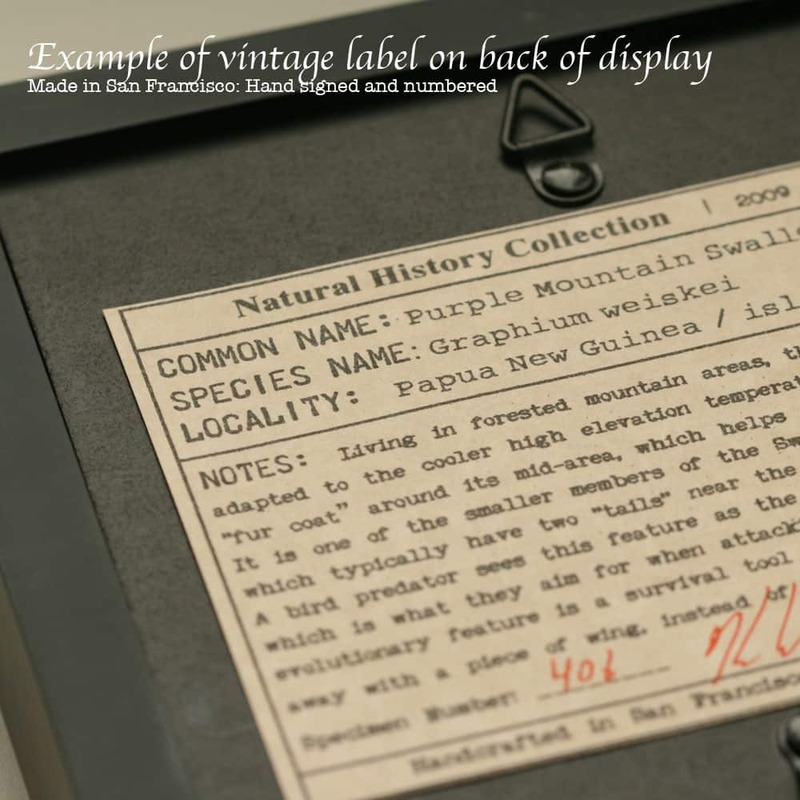 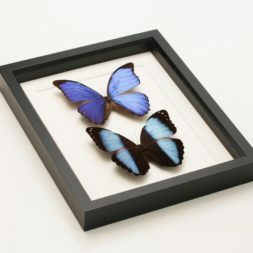 ► Info about ethical butterfly origin and care of display.